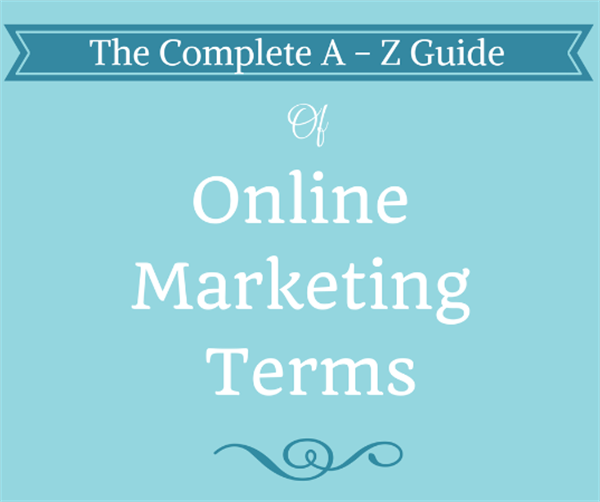 The Complete A-Z Guide to Online Marketing Terms! The marketing industry has a language all of its own. The jargon can come to us in many shapes and form. Sometimes, complete fabrications, or words with “- able” at the end of it. Other times, they’re jumbled up English terms and confusing acronyms. Whatever shape the jargon takes, there’s one thing that’s for sure: It doesn’t make marketing any easier. One of the biggest problems with marketing jargon is that the marketing experts will expect you to know them and will often throw them around as casually as they would the word “the”. This gets confusing (and a little frustrating) for newbies (or even intermediates for that matter). That’s why we’ve compiled a list of some of the most common online marketing terms you’re likely to encounter (and some that you might not) to make the introduction into marketing just that little bit easier for you! Oh and you’ll see Spokey pop up now and then to let you know what the important terms are! If you receive a 404 (Not Found) error, it means that the webpage that you were trying to reach couldn’t be found. There are a few reasons that this might happen. The page has been moved and the URL was not redirected accordingly. You typed in the URL incorrectly. If you receive a “301 Redirect” code it means that the link has been permanently redirected to another URL. If you receive a “302 Redirect” code it means that the link has been temporarily redirected to another URL. A/B testing is a simple way to test out changes that you make to your online marketing design or content. The test is between two subjects, A and B (hence the name). One is the original design (the control) and the other is the altered design (the treatment). Landing pages where changes are made in the content. For example: In emails, two subject lines can be written. Half of the emails with one subject line will go to half the recipients and the other half with a different subject line will go to the other half of the recipients. A whole bunch of things can be tracked, such as open-rates, click-through rates etc. This data can then be analysed to figure out which subject convinced the most people to open the email, click on a link in the email etc. Testing changes that you make takes the guesswork out of online marketing strategies! The abandonment rate is related to the use of online shopping carts and how often the sales are abandoned rather than completed. You’ll rarely see a shopper in a brick-and-mortar store just abandoning their carts, but it’s quite common in online shopping. Many people start the checkout process, but don’t complete the transaction by making a purchase. This is called “abandonment”. It’s useful information for marketers, who can use it to figure out how many shopping carts used in a specified time results in a completed sales versus shopping carts that are abandoned, i.e. On Mondays there are higher abandonment rates than on Tuesdays. And just so you know, the average abandonment rate is 67.91%. Above the fold is used in web development to describe the portions of a webpage that can be viewed without scrolling. An advertorial is a hybrid between an advert and an editorial article. It’s essentially an advertisement that is stylized like an editorial article to provide customers information about a product. Adwords is Google’s advertising service that is largely focused on the use of keywords. Through Adwords, a business can create an ad that is triggered to show up when internet users search for a specific keyword that the business has set. The ads then appear as “sponsored links” on Google’s results pages, as well as Google’s partners such as AOL and Ask.com. An affiliate is a business that acts as a reseller of products from another business (a merchant). For example, if there’s a gardening website that has plenty of tips and blogs on gardening, but no actual gardening products to sell, they might become an affiliate of Garden.com (who is a merchant that sells gardening products). 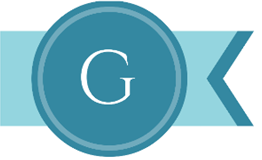 Customers will find the products to purchase from your website, but the transactions, customer service and credit card handling all happens with Garden.com. An affiliate is also sometimes referred to as a “publisher”. Affiliate marketing is type of performance-based marketing strategy where merchants reward affiliates who create extra business through their marketing efforts. The reward that affiliates will get from their efforts varies, but the general idea stays the same. An affiliate network is a third party that works as middle man between the merchant affiliate programs and the potential affiliates. 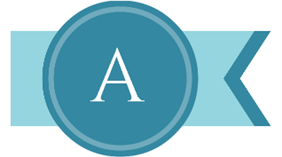 The affiliate network helps to connect merchant affiliate programs and potential affiliates, and vice versa. This helps affiliates find appropriate affiliate programs more easily. It also helps the merchant reach a larger audience by promoting their affiliate programs. To get a computer working, you have to write a computer program which should tell the computer what you want it to do step-by-step. An algorithm tells a computer how to execute a computer program. It is an ordered collection of computable operations. In both cases the end-result was achieved (clean bathroom) but how it was achieved differed. ALT tag, or “Alternative text”, is text that is associated with an image. The purpose of the written text is to convey the essential information of what the image is. The alt tag isn’t usually visible, but where images have been turned off (or where screen readers are used due to a visual impairment) they serve to provide the same information to the visitors. Not including alt tags, or including unhelpful alt tags, can be frustrating for visually impaired internet users. Analytics is the information that is a result of the practice of analysing and measuring data. It is the summary of this data, presented in different formats. Ensuring that you continually view and consider the information available through analytics will help you improve your website’s performance and maximize the business in question’s ROI. Anchor text is the highlighted piece of text that is hyperlinked so that when you click on it you follow the link to another webpage or another website. Search engines use anchor text to determine what the subject of your page. Article marketing is when businesses write short articles relating to their company, business or their industry expertise as part of their marketing strategy. They then share them on article directories, where the business can link the article back to their website or blog. This is a dated practice that is super relevant any more. Attribution is when you identify what user-actions contributed to the desired outcome (usually described as a “conversion”) and then assigning a value to each user-action that lead to that conversion. For example, if someone decided to sign-up after reading a particular blog post, that specific blog post would be assigned (or attributed) the value that lead to the successful sign-up. B2B (Business-to-business) is a transaction that happens between two businesses, such as a manufacturer and a wholesaler or wholesaler and a retailer. An example of this happens quite often in the restaurant industry. While a restaurant may prepare its own food, it gets many of its resources such as meat, bread, vegetables and kitchen appliances from other businesses. B2C (Business-to-consumer) is a transaction that happens between a business and consumers. In this transaction, the consumer is the intended end-users of the business’ products or services (this is where those “not for resale” stickers you find on products comes into play). An example of this is a man who purchases a tin of paint from a paint store to paint his house with. Backlinks are links on other pages that will direct consumers and search engines to your page. They’re also referred to as “Inbound Links”. A banner ad is a rectangular graphic that’s usually shown at the top or bottom of a web page. Usually, it extends across the full page width of the screen. The purpose of the banner is to have visitors of the host’s website click on the advertisement that will then link them back to the advertiser’s website. Banner ads aren’t a particularly effective form of advertising. In fact, banner ads are so ineffective that you’re more likely to birth twins, summit Mount Everest, survive a plane crash or complete Navel SEAL training programme rather than click on a banner ad. Black Hat SEO is the practice of using unethical techniques so that the page ranks higher in search engines. Examples of Black Hat SEO is keyword stuffing, invisible texts, page swapping and doorway pages. The term “blog” is a shortened version of “weblog,” a combination of the two words “web” and “log”. A blog may be run by an individual or group of people. There are two main types of blogs: A personal blog and a business blog. Both will usually include entries relating to a variety of topics. These can be articles, critical commentary, photos, videos, descriptions of experiences or events etc. Blogging has become an important aspect of inbound marketing. It improves website traffic growth, conversion rates and industry expertise, among other things. The bottom of the funnel refers to the stage in the sales funnel where leads are about to become customers. Typically, they’ve already identified what they need, they have shopped around and have decided that what you have to offer will work best for them, and now they are very close to making a purchase. Usually, this is the time where the lead will ask for a demo, pricing information or a consultation (depending on the business). The bottom of the funnel does not end with a lead turning into a customer, but instead becomes about “retention”. This means keeping your customers happy and satisfied with their product/service by creating informative content or by adding new features to a service etc. See “Middle of the Funnel”, “Top of the Funnel” and “Sales Funnel”. The bounce rate is the percentage of people who leave a website after viewing only one page. A high bounce rate means that improvements to the website need to be made so that you can keep visitors there for longer. Brand awareness is the extent to which a person can recognize a brand and correctly link it back to a specific product. Brand awareness is essential, as customers are much less likely to purchase your product if they’re not aware of it. A Call to Action (often abbreviated as CTA) is a piece of text or image that asks your potential customers, readers, leads and visitors to take action. It is literally a “call” to your intended audience to take a certain “action”. It’s your CTA that takes your “visitors” and tries to convert them into “leads”. The action that you want people to take can vary widely, from downloading a book to signing up for a newsletter. A call to action can be placed anywhere, including on your website, at the end of a blog post or in an email. The location, colour, wording, whitespace and design all have major impacts on how effective your call to action will be, so it’s best to test changes and see how well they perform. It’s not an exact science, so testing and split testing minor changes is a good way to figure out what works best for your website. Products often pass through a few businesses before it reaches its end customer. This is referred to as channel distribution. There are indirect and direct channels. An example of a direct channel would be when a consumer can purchase straight from the manufacturer. An example of indirect channels would be when the product is purchased from a manufacturer by a wholesaler, then a retailer purchases it, and finally, the consumer. Indirect channels are considered “longer” and manufacturer’s run the risk of gaining less profit from their product, as fees or commissions are taken from the sale to pay the wholesaler. Direct channels are considered “shorter” but limit the amount of ways a customer can buy a product. The click-through rate (commonly abbreviated to CTR) is the percentage of people who click on an advertisement on a particular website. It is a way to measure how successful an online advertising campaign is on a particular website. A high CTR doesn’t really reflect sales accurately, only how many people have clicked on the ad. For this reason, most marketers look at the conversion rate instead of the CTR. Cloaking is a SEO technique where the content that the search engine spiders/crawlers see is different than what’s presented to the user. This is achieved by delivering content based on the server’s IP addresses. When a user is identified as a spider or crawler then a different version of the webpage is delivered. This is often used in unethical practices normally referred to as “Black Hat SEO”. However, it also has some practical purpose (if somewhat outdated in usage) to help search engine spiders find content that might be otherwise missed. Closed Loop marketing is when Marketers focus on finding out what exactly happened to your leads, from start to finish. Closed loop marketing looks at the activities that your leads engaged in to either be converted to customers, or not. This can help Marketing and Sales figure out what activities work in generating sales, and which don’t! This does exactly what it says on the tin! Competition-oriented pricing is a pricing strategy that is based on how the competition is pricing their products. This means if one particular fast-food company is selling their cheeseburgers for a dollar, another might sell theirs for 99c! Sound familiar? In online marketing, you’ll hear the word “content” thrown around a lot, but very few people really know the definition of the word. But it’s quite simple: Content is the material found in a document or publication. The material can be text, images, video, whitepapers, infographics etc. A content management system (often abbreviated to CMS) is web application that allows users to add and edit web pages to their websites without having to learn how to use HTML. A conversion path is a method that helps move potential customers to more relevant content. The idea is that customers are provided with a few simple options and they choose whichever one is more relevant to them. Then, based on the customer’s choice, more relevant and tailored content is delivered to them. An example of this would be with a travel agency. By providing its customers with choices such as “Relax & Unwind”, “Family Holiday” or “Adventure & Adrenaline”, the customers can choose which options that are suited to their personality and desires. The conversion rate is the number of sales or leads that occur on your website, compared to the total amount of visitors. The term “conversion” refers to the practice of trying to “convert” people from being simply visitors, to being leads or customers. The rate is the percentage of people who you’ve successfully encouraged to purchase your product or to sign-up for your newsletter etc. For example, if you have 10,000 visitors, and 500 of those sign up for your product/service then your conversion rate is 5%. The average conversion rates depend on the industry you’re in, but the general consensus is that between 2-3% is good going. A cookie is a delicious snack you have with milk! Oh yeah, and it’s also a small piece of data that is stored in a user’s web browser after they visit a particular site. Every time the user loads the website, the browser sends back the cookie to the website’s server with information about the user’s previous activity. Cooperative advertising is when the costs of an ad are split between two or more businesses. Usually, manufacturers offer this to wholesalers or retailers as a way to encourage them to advertise their product or services. Copy testing is research into how effective an advertisement is before it goes public. Copy testing looks at consumer feedback, responses and reactions to determine whether the ad is effective or not. Copy testing is sometimes known as “pre-testing”. Copyright is the exclusive legal right given to the originator of material. Copyright protects the creator of the material from people who would use their work without permission or acknowledgement. Art, photography, music, literature and many more things can be copyrighted. Basically, it’s to stop people from stealing your stuff! If a business runs a misleading advertisement, the Federal Trade Commission may ask them to run another ad (or an ad within the ad). This second “corrective” ad is to correct a consumers’ mistaken impressions from the first advertisement. An honest and ethical business shouldn’t run into such issues. Cost Per Acquisition is an advertising method where the advertiser only pays for when an advert delivers a sale. It’s an advertiser-friendly method because the advertiser only pays when the advertising has met its purpose, ensuring that the advertisers don’t lose money. The webmaster whose website that the advertisement appears on much rely on the conversion rate of the advertiser’s website – something that is completely out of their control. This type of advertising is usually only applied to affiliate marketing. Cost per click is a strategy that aims to direct traffic to specific websites with ads on other websites. The advertisers pay the website owner every time their ad is clicked on their website owner’s page. Simply put: Cost per click is the amount of money spent to get an advertisement clicked. See also “Pay Per Click”. Cost per impression (often abbreviated to CPI) is a term used in relation to web traffic. Simply put: CPI is when advertisers pay each time their ad is displayed to potential customers. It differs from PPC/CPC because the ad doesn’t have to be clicked for the advertisers to pay. Counter Advertising is advertising that takes an opposing position to an already-existing advertisement. It’s usually seen as an informal response on controversial topics like smoking, unhealthy foods and alcohol. A crawler (also known as a “spider” or a “robot”) is a piece of software that is used to crawl the internet and index data appropriately. They’re also an eight-legged arachnid, but not in this context. Creative disruption is when there’s a positive change in the normal behaviour of a target audience because of a very creative advertisement. Creative disruption is a way of stirring things up for potential customers, who might be ignoring advertisements because of over-saturation and boredom. Creative disruption is definitely a good thing, as you get customers to actually pay attention to your business or product. A creative strategy outlines what messages that a business wants to be conveyed about themselves, a particular service or a product. The outlines should also suggest who the message should be directed at and with what type of tone. CSS stands for “cascading style sheet” but it is more commonly abbreviated. CSS’s are used to define how HTML should look. Almost all webpages use CSS style sheets in order describe their presentation, without it, the page would be black and white and very plain. CSS is designed to help separate document content from document presentation. Meaning that the presentation can change (background, layout, colours, fonts) while the content of the page stays the same. 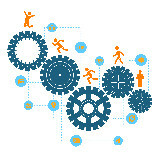 Customer relationship management is the methods and software that help a business manage their customer relationships. For example, a business could keep a database of all its customer’s details, such as previous purchases, paid or outstanding bills etc. Customer satisfaction is a measure of how a business’s products and/or services have met or surpassed a customer’s expectation. 71% of business found that having a way to measure customer satisfaction is a very useful tool in managing and monitoring how well their business is performing. DAGMAR is when you set goals for an ad campaign so it’s possible to figure out if the goal has been met. It stands for Defining Advertising Goals for Measured Advertising Results, but for reasons unknown to mankind, the acronym is much more commonly used. A deceptive advertisement is one that can be misleading to consumers. The Federal Trade Committee (FTC) officially states that deceptive advertisement is a “representation, omission, act or practice that is likely to mislead consumers”. 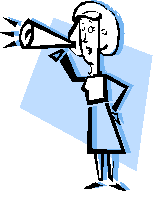 Direct marketing is advertising messages that are sent directly to consumers, such as through Direct Mail or Telemarketing. A direct response is when promotions or marketing messages allow or request consumers to reply directly to the advertiser. This can be done through mail, telephone or email (or any other form of communication). Double Jeopardy is the evil marketing law that says that small businesses have fewer buyers and less brand loyalty. It’s not always the case, but it does happen quite frequently. Double-loop marketing is the idea that marketing must first start with community, and then move on to commerce. That is: First you build up a relationship with your potential customers through sharing information (blogs, infographics, webinars etc.) and then only after that will you convert them into paying customers. Dynamic content is the new content that is being added to your page on a regular basis. To make it simpler: Think about it as the opposite of your static content that always stays the same, such as your “About Me” page. Dynamic content usually happens in your blogs, where you can keep updating it with different content that provides your customers with advice and information. Also, it’s useful to note that the more dynamic content you have the higher you’ll rank in search engines. This is because search engines use algorithms that have preferences for dynamic or “new” content. EdgeRank is the common name given to an algorithm that Facebook uses to decide what articles should be displayed on a particular user’s newsfeed. It has three factors into account: Affinity (how close the user was to the content), Weight (what action did the user take on the content – like, share etc.) and Time Decay (how recent/current is the content). In 2013 Facebook began to use another type of algorithm that takes more than 100,000 factors into account (along with EdgeRank’s three). The eighty-twenty rule means that 80% of a specific product will be sold to about 20% of customers. This usually only applies to a particular product category, for example, shampoo in a drugstore. This is the person who actually uses a product. This is different from the actual customer, because the end-user doesn’t have to actually be the customer. For example, when a person buys a gift for somebody. It’s the person who ends up using the gift (usually the person who received the gift) that is the end-user. Engagement marketing is a marketing strategy that tries to fix the disconnect that can occur between customers and brands by encouraging consumers to participate in the development of a brand. This stops consumers from being passive messengers, and instead taking part in the brand so a relationship grows between the two. It’s sometimes referred to “experiential marketing”, “event marketing”, “live marketing” or “participation marketing”. ESP (Email Service Provider) is a company which offers email marketing and/or bulk email services. They may also provide other services such as email tracking, email segmentation, testing, template creation, subscriber lists etc. Examples of an ESP is Mailchimp, ActiveCampaign and Aweber. Exposure is when consumers have seen or heard a media message. It’s doesn’t necessarily mean that the consumer has noticed it, only that they were exposed to it. For example, a lot of people will be exposed to a banner ad, but very few will actually pay any attention to it. Eye tracking is a research method that tracks where a consumer’s eyes are focused on. It’s often used in marketing to figure out what format works best for advertisements, webpages, blogs etc. The coding “learns” what your audience is looking at on your website, and therefore, what they’re interested in. This information is then used by marketers to advertise the product/service that the customer was looking at on their Facebook page. For example, if you’ve searched for “high-heeled boots” and browsed them on a specific website, you might find ads on your Facebook for similar boots from this company suddenly (and not so mysteriously) appear. Facebook’s retargeting can be done through FBX (Facebook Exchange) with their partner programs such as Adroll and Triggit, or with their most recent update, you can now use WCA (Website Custom Audience) directly on their page. 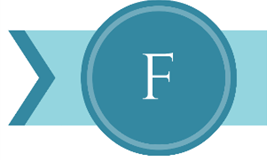 FBX (which stands for Facebook Exchange) is a retargeting program that allows marketers to reach people on Facebook who had previously visited their website and shown interest in it. For example, if you visited Hotels.com and searched for hotels in Seattle but did not make a purchase, marketers can use this information with FBX to send information and advertisements regarding this query to the visitors Facebook page. You might see these guys pop up now and then (especially in the news) as they’re responsible for regulating broadcast and electronic communications. In other words: They’re not just making the rules, but making sure you obey them too! The Federal Trade Commission is responsible for regulating national advertising. They’re pretty powerful guys, so it’s best to be on their good side. First party leads refers to contact information that has been collected directly from the potential customer. Flash is an animation/interactive platform that allows you to create very complex movements on a webpage. It’s most commonly used to distribute videos. For example, Youtube uses Flash. The flat rate is the very basic rate that is on offer, and there is no option for discounts. This is when the amount of advertisement messages scheduled varies depending on a certain time. For example, 9.00am on a Thursday is a great time to share a new blog post so this is when a business might choose to advertise themselves a lot, where Wednesdays after 8 gets pretty low responses so businesses might not spend much time advertising then. A focus group is when a small group of demographically diverse people are brought together and are guided through a discussion about a certain product, service, show etc. A forum is a place online where people can hold discussions and conversations through posted messages. 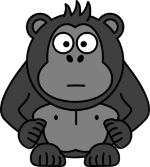 Unlike a chat room, forums have longer messages and usually archived. A discussion forum may have several subforums, and in each subforum there may be several topics, and in each topics there may be several new discussions also known as “threads”. Some forums allow comments to be posted directly, where others are moderated, and comments will not be posted without approval. Depending on the forum, people may also be able to comment anonymously, or they may have to register first. Product, Price, Place and Promotion. The product is what you’re selling, the price is how much you’re selling it at, the place is where you’ll be distributing your product and the promotion is how you’ll be selling our product. This is an agency that handles every part of the advertising process. That includes the planning, design, production, and placement of your ad. Usually it also means that they’ll handle all the marketing communication (promotion, sales, PR etc.) as well. A generic brand is a product that isn’t connected with a national or private brand name. Some people make the mistake of assuming that “generic brands” don’t have a brand at all, but this isn’t always true. Usually generic brands do have a brand, but they’re just lesser known brands or the store’s own brand. GEO-targeting is a method of targeting website visitors based on their location (or in other words, their geography – hence the name!) Once the visitor’s location is known, a website might deliver different content based on what country, city, zip code etc. that the visitor is from. GEO-targeting is commonly found in in online advertising. It is also used on internet television platforms in order to restrict certain users from accessing specific content due to digital rights management laws. Google+ is a social networking service provided by Google. Google has describe it as a “social layer” because it also associates web content with that account (i.e. if you comment on a blog, this comment can be made with your Google+ account). There’s 540 million monthly active users, only 300 million of which actually use it as a social networking service. It’s quickly growing as a contender to Facebook. The Gross Audience is the total number of audience that you reach in your marketing campaign. Because it’s a combination of all the different vehicles (email, social, blog etc.) then sometimes one audience member may be counted twice because they’re counted once for each message they receive. For example, if you send an email and share tweets with one particular consumer, they’ll be counted twice (once for the email and once for the tweet). Guerrilla marketing has very little to do with actual Gorillas, unfortunately. Guerrilla marketing is a marketing strategy where a company uses unconventional means in order to promote their product, service or business. For example: Graffiti or sticker bombing. Guerrilla marketing is different than traditional marketing as it relies on potential customers’ personal interaction and word of mouth to create a buzz around the product or service. It usually requires a smaller budget than wide-spread campaigns. Header tags are HTML tags that are used to differentiate a heading on a page from the rest of the content. Header tags range from H1 to H6, with H1 being the most important and H6 being the least. Every page must have a H1 tag, as it tells Google’s spider’s what the page is about so that the page can be indexed properly to help people find it. Therefore, you should always include your keyword in your H1 heading tag. When a person visits your website it’s called a “hit”. They are also sometimes referred to as “visitors”. HTML is a programming language that’s used to create websites. A hyperlink is a word, phrase or image that you can click on to go to another document, page, or place within the same document. They’re on most webpages, making it easy for users to go from page to page. Text hyperlinks are usually underlined and blue, but they don’t have to be. Image attribution is when credit is given to the creator of an image for their work. Best practices for image attribution (when possible) is to credit the author’s name and then provide a link to their profile, to their original work and to the licence deed. An impression is when a user views your webpage (or ad). Inbound links are links on other pages that will direct consumers and search engines to your page. They’re also referred to as “backlinks”. Inbound marketing is when you promote a business through online content such as blogs, videos, infographics, whitepapers, social etc. These activities encourage customers to come in to your business, rather than you going out to talk to them (i.e. prospecting and cold-calling). The content is created in order to create a good relationship between a business/brand and their customers. Inbound marketing takes a lot of dedication and commitment in order to produce a helpful, informative and welcoming business that will hopefully entice customers to find out more about the services/products that are being offered. An income report is a websites’ monthly earnings and expenses. It’s typically compiled in a report format. Google has an index of the web (kind of like the front of a book has an index of the chapters that the book contains). It keeps things organized and efficient when you go to search a term. You say that a webpage is indexed if it’s included in Google’s index of the web. Internal links are links on a webpage that bring you to another page of the same website/domain. Internet marketing is just marketing, but on the internet. It’s when you, as a business owner or affiliate, use the internet to market a product or service. There’s a tonne of methods and strategies that can be employed to do this, from banner ads, blogs posts, PPC, infographics, video marketing etc. Interstitial ads are pages that are displayed before (or after) the expected content page. It is most often used to display ads, but it’s also sometimes used to confirm a user’s age prior to showing age-restricted material. Interstitial ads that take up a full-screen are called “hyperstitials”. A keyword is a word (or phrase) used in search engines to find relevant content. For example, if you’re looking for cupcake recipes, search engines will search the internet for content that contains the keywords “cupcake” and “recipes”. Keyword Density is the amount of times that a word appears in a body of text, usually expressed in a percentage. For example, if you have 100 words, and a word appear 4 times then your keyword density is 4%. The optimal keyword density for a keyword is between 2 – 4%. Too much, and Google will think you’re spam. Too little, and Google won’t think you’re relevant. Keyword research is an integral part of effective content writing, online marketing and SEO. Keyword research can be used in many ways, such as to determine what keywords are most popular with your target audience, to determine what is the most relevant keyword (or keyphrase) for the topic of your content, or to determine how much competition there is to rank high in the search engines using that word or phrase (is the internet already saturated with information around your keyword). A key component of keyword research is that it lets you know where there is a gap of knowledge in your industry’s online presence. For example, through keyword research you may discover that while a certain keyword or phrase has been searched for several times, the amount of content and information available on the topic is small. This is a winning combination for you, as it means that whatever content you create based on that keyword will likely rank high in organic search results. Keyword stuffing is bad. Avoid it at all costs. It’s the unethical practice of using a keyword or phrase excessively throughout a webpage to falsely increase keyword density. Keyword stuffing can get you banned from the search engines, and rightly so. The landing page is the page of a website where people have “landed” after clicking a hyperlink on another web page. While it’s usually the website’s home page, it can be any page and this is why every page should be treated like a landing page. Every landing page should have one primary objective: To convert visitors into leads. For this reason, there should be a clear CTA on every landing page. There are two basic types of landing pages: Click Through and Lead Gen/Capture pages. The “Click Through” landing page should provide the visitor with more information on the product and/or service. It has a very clear CTA that encourages visitors to click on it, and this usually brings the visitor to a shopping cart or a registration page. A “Lead Gen” or “Lead Capture” landing page usually asks for visitors to share their information. Visitors are encouraged to do so in exchange for something, such as a Webinar, a free eBook or a discount. Latent Semantic Indexing (often abbreviated to LSI, for obvious reasons) is an index and retrieval method used by Google and other major search engines. LSI works out what words are related to other words. For example, the word “dress” is related to the word “fashion”. Lead nurturing is when you provide excellent content that’s highly relevant, well-researched and very educational to potential customers that are not quite ready to buy. The idea is that this information will “nurture” the relationship with potential customers so that they’re aware of your brand, what you offer them and what benefits your services/product provide them with. Lead nurturing ensures that your potential-customers stay emotionally invested in your business, and the only way to do that is to provide those leads with relevant and meaningful content that will hopefully prepare them to make a purchase in the future. Lifestyle segmentation is when you separate consumers into different groups, based on their interests, hobbies, and other lifestyle choices. LinkedIn is a social networking platform that is mainly used for professional networking. Link authority is a type of voting system that happens on your website when another web site links to it. Search engines use these votes in their ranking algorithms, making inbound links great for improving your ranks in search engines. Link bait is a piece of content that you create that attracts a lot of inbound links from other websites. Most importantly, it’s content that others want to link to, not that you’ve asked them to! Link Building refers to the practice of getting other pages (not your own) to link to a page on your website. The practice is used in SEO because Google’s crawlers consider links as a type of “vote”. So that means the more pages high-quality links linking to your page, the more popular your page is according to Google, and therefore, the more likely it will rank highly in the search engines. Link Popularity refers to how many websites are linking back to your website. The more websites linking back to your webpage, the higher you’ll likely rank in SERP. However, the quality and authority of the websites that are linking back to your site. Yes, that’s right: Not any ol’ link will do. Being linked back to by high quality websites that are considered informative, popular and useful, carries more weight than websites that are considered unpopular, uninformative or not as useful. This is a backlink structure that takes the form of a pyramid. For example, if you imagine that your website is at the peak of the pyramid, and 10 links are pointing back to it, and a different 20 links are pointing to those 10 websites, then 30 other links are pointing towards those 20 and so on and so on. This creates a pyramid structure, with your website at the top. Link velocity is the speed at which backlinks to a website are created and/or removed. A “local search” is the term used for searches that are made for a service/product/store/business etc. that is (or will be) geographically located close to the internet user’s current or intended location. Typical local searches will include a specific location, along with the keyword that the internet user is searching for. For example, “best hotels in Dublin’s City Centre”. A local business listing is a free listing available on search engines that show the physical location of a business on a map, along with other useful information such as phone numbers, websites, opening hours and services. These listings often appear when a user’s search query included a specific geographical location. However, if the search query is for a business within your current local area, no geographical term is needed to display the listing locally. Long tail keywords are longer and more specific keywords that visitors are more likely to use when they’re close to making a purchase. For example, consumers who are doing their first round of research for a bed might search “queen-sized beds”, a very general search query. However, a consumer who has done their research and knows what they want, might search for something more specific such as “mahogany sleigh queen-sized bed with storage”. The competition for long tail keywords is quite low, because not everyone will be selling something quite so specific. Long tail keywords generate less visitors, but ROI is usually higher because the product is more closely related to the specificities that the consumer was looking for. MFA is used to refer to websites that are built specifically just to make money with the Google Adsense program. Marketing automation is software platforms and technologies that are designed to help marketers and marketing departments and organizations more efficiently and effectively market on multiple online channels, such as websites, emails, social media platforms and email. Marketing automation works by automating certain time-consuming tasks, so that little human error can occur while also ensuring that a regular amount of content is being distributed to target audiences. Marketing communications is the strategy used by a company or individual to reach their target market through various types of communication and marketing messages. Marketing research is the gathering, recording and analysis of data about everything and anything relating to marketing products and services. The purpose of marketing research is to figure out what changing elements of marketing methods effect and impacts customer behaviour. There are two types of marketing research, the first is Consumer marketing research, and the second is business-to-business (B2B) marketing research. Materiality is what the FTC say they need to be proven before they regulate a deceptive advertisement. Simply put, the advertisement has to have some serious and material impact on the consumer’s decisions or actions in relation to a product (or service). If the impact on the consumer is a trivial one (something small and unimportant) then the FTC (theoretically) won’t regulate the advertisement. Memes are a funny way to connect with you consumers, while also adding humour into the mix. The meta description is the short piece of text that appears in search engine results. It appears at the head section of a webpage. It doesn’t influence SEO but including your keyword in the meta description does increase the likelihood that people will choose to click into your website. A meta tag is a HTML tag that provides information about your web page to crawlers. Meta tags don’t affect how your page is displayed, or how it ranks in search engines, but instead it provides information such as who created the page, what the content on the page is about, how often it’s updated and what keywords represent the page’s content. Microblogging is a blogging, but smaller in both content and file size. Microblogs usually let users exchange short or small pieces of content. For Twitter, for example, users can microblog only 140 characters. Other sites exchange only pictures, or links. The middle of the funnel occurs after the bottom of the funnel (Surprise, surprise!). These are the potential customers that you’ve engaged successfully enough that they fill out a contact form. This converts them from just a “visitor” to an actual lead. At this point, it’s important to nurture them by providing them with useful and relevant information, such as blogs, case studies, infographics etc. This helps you become a thought leader and a go-to for information in your specific industry. Mobile marketing is marketing directed at your mobile device, such as a smart phone or tablet. Mobile marketing has the benefit of providing consumers with location-based and time-based information that helps to market a product or service. Monetizing refers to the process of introducing new features to a website in order for it to make money. This could be a banner ad, affiliate marketing or launching a product or service. A money site is a website where you generate the most amount of your income from. Movable type is a popular blogging platform. Multivariate testing is a method that tests the effectiveness of a high number of possible variations of a particular feature/design. For example, if you have 3 different colors for your sign-up button and three different heading fonts, there are 9 possible combinations and variations of design. Visitors are funnelled into seeing one of these variations, and data is recorded the effectiveness of each combination is measured. Nascent markets are what small, newly developed markets are called. Typically, this is the market developmental stage where lots of innovation and competition develops. Usually at this point, the competition is less about brand and image, and more about features and innovations. A national brand is a product brand name that is distributed nationally, regionally or locally. It’s different from a store brand, which would be a product brand only distributed in that specific store. Also known as “organic results” or “organic listings” are listings that appear on search engine results page because of their relevance to the searched query/term rather than being advertisements. Think of it as “naturally” appearing, rather than being promoted to appear. Negative SEO is also known as “Google Bowling”. It’s the practice of harming a competitor’s website’s standing with Google. There’s lots of ways to do this, such as hacking a website and putting HTML code with hyperlinks into it, or injecting it with malware – both tactics that would lower a website’s Google ranking. Next-Best-Action marketing (also known as best next action or next best activity marketing) is a strategy that some marketers employ that is extremely personalized to the specific customer. The strategy is a customer-focused marketing tactic that looks at the customer and considers what the next actions that can be taken for them are, and then decides on the ‘best’ one. “No-follow” link is an attribute that can be added to the HTML element to instruct some (or all) search engines that they are not to follow either a specific hyperlink, or all hyperlinks in a page. This ensures that the link target’s (the website that you’ve linked to) ranking will not be effected in the search engine’s index. This is usually used if it’s not a trusted link, if it’s a paid link or prioritizing where you want the search engines to focus on. Non-profit marketing is when the service or product that’s being offered is not trying to make a profit from what they’re offering. Non-profit marketing usually occurs for charities, in the public health sector and educational organisations. Off-page optimization refers to the factors that are outside of your control or the control of the coding on your webpage (I know, scary!). These factors still have an influence on your web page’s listing in search results. You just can’t do much about it. An example of off-page optimization is link popularity and page rank: Both of which occur outside of your direct influence. Offsite SEO refers to search engine optimization that doesn’t take place on your own website. For example, link building or social media sharing. In SEO, on-page optimization refers to the factors that are controlled by you or by the coding on your page that contribute to having positive effects on how likely it is that your website will rank highly in natural search results. A lot of factors contribute to on-page optimization, a few examples include actual HTML code, meta tags, title tags, keyword placement and density, outbound links, relevant content and word count. A one way link is a link that only goes one way, i.e. a link that brings you to a website, but that doesn’t provide you with a link back to the original website. Onsite SEO is techniques that are used by making changes to the website that are supposed to help your website be more search engine friendly. We’ve all seen this type of content posted on to Facebook, but did you ever wonder how to control what’s shown? Open graph tags! 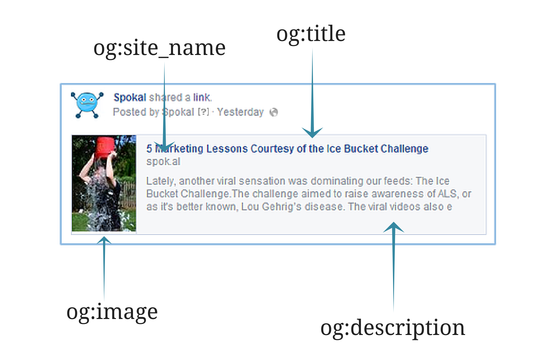 There are lots of open graph tags that provide different pieces of information to Facebook, and you can add this to our pages manually, either through CMS or directly to the code on the page. When a person “opts in,” they’re usually making themselves available for communication with you (and/or your business). For example, someone can “opt in” to your mailing list so that you can send them emails! An organic link is an inbound link to your website that was created naturally (without any persuasion) from another webmaster. An outbound is a link on your webpage that points to a different website (any page other than your own). Page rank is a metric created by Google that determines how much of an authority a webpage is. The metric uses backlinks as the basis for figuring this out. Page rank ranges from 0 as the least authoritative, and 10 as the most authoritative. Page rank is only one of the several ways that Google determines a page’s popularity, and trying to improve your page rank in unnatural ways could result in a penalty. A page title is the title of a webpage. 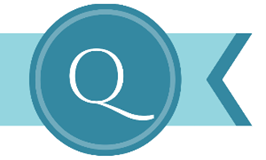 For example, if you have a section for frequently asked questions, the title of this page could be FAQ. Simple! A pageview is when one of your pages of your website is loaded completely (and supposedly “viewed” by a visitor). If one visitor goes to your website and views 3 pages, that’s 3 pageviews. Paid inclusion is when a company pays to be included in a search engine company. Paying to be included in a search engine does not mean that you will rank high in that search engine, only that you’ll be included in the search engine. Where you rank is still considered an organic result. Paid inclusion programs aren’t as popular as they used to be and continue to draw criticism when used. The Google Panda is a series of updates and penalties that was introduced in 2011. Panda targets low quality sites and duplicate content. Pay per click (often abbreviated as PPC) is an advertising strategy where you pay a certain amount of money for every click your advert on a website receives. Also known as “Cost Per Click”. The payment threshold is a minimum commission that an affiliate must accumulate through their earnings before they receive payment. For example, you might have to accumulate $100 before the business will pay you your earnings. Penalties are incurred through search engine violations. Some of these penalties are automatically given out when spotted by Google’s spiders, as they are based on a set of rules programmed into their software. Others are manual, and are based on a human review of a site. The Google Penguin is an update and penalty that was introduced in April 2012. Penguin targets unnatural backlinks, which could be from blog spam, paid links, widgetbait etc. Permission-based marketing is when marketers obtain permission from their prospective customers before advancing to the next stage of marketing. The marketer explicitly asks the prospective customer permission to send email newsletters. The marketer has received an implicit request through a search engine query that implies that the consumer is looking for information about a commercial product/service. For example, if the internet user searches “where to buy a dog bed”, online marketers consider this implicitly permitting them to present the consumer with information on the product. PHP (also known as “Hypertext Preprocessor”) is a widely used programming/scripting language. It is typically embedded into HTML and can be used to create dynamic webpages. It’s also quite popular because it’s compatible with many different databases. A plugin is a bit of software (usually a file or bit of code) that can be easily installed another software application to add new feature to it. For example, you might install a plugin to your browser that can scan for viruses. 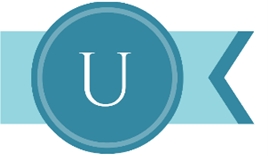 A popunder is a type of online advertisement, banner or webpage that is set to automatically appear underneath the current web browser that the user is using. It’s considered an unobtrusive form of advertising because it occurs in behind what the user is doing. A popup is an online advertisement, banner or webpage that is set to automatically appear on top of the current web browser that the user is using. It’s considered obtrusive as it blocks what the user was doing. Private label rights is a licence given to certain digital products that will allow you to modify, reuse or resell them. The license can be applied to a variety of different products, from ebooks to graphic templates. A qualified lead is when you have all the information that you would with a standard lead, such as name and email address, but with additional information that qualifies them for a specific product. For example, you might know what their budget is or whether or not they make the buying decisions in their household/company etc. Readability is how easy it is to read a piece of text and for it to be understood. When someone does something nice for you, it’s nice to return the favour, right? This is exactly what reciprocal links are. When you link to a webpage, they then link back to you. Everyone’s happy! A redirect is when a visitor, who is trying to go to one specific webpage, is directed towards another one. For example, if a webpage is moved, the owner of the webpage may set it up so that the user it redirected to the webpage’s new location. Responsive web design (also known as RWD) is a method of web designing that aims at creating sites that will provide users with the best possible viewing experience. This usually takes shape in the form of easy reading and navigation with minimum resizing, scrolling and panning. It also means that the web design should be able to be easily viewed on a variety of devices, such as smart phones and tablets. This is done by placing a piece of coding (sometimes referred to as a “pixel”) onto your own website. Every time a visitor browses your websites (and leaves without completing a checkout), a browser cookie is dropped. The cookie gives you information that can inform your retargeting provider when and where is appropriate to serve ads/display content as the internet users browses on other sites. This allows for marketers and advertisers to target more specific internet users that are already aware and interested in their business, and provide them with more relevant content (that will hopefully get them to make a purchase eventually). Return on investment (often abbreviated as ROI) is the percentage of profit made on the initial investment. For example, if you invested $100 and you earned $150, you’re ROI would be 50%. Rich snippet is the extra bits of text that appear under search results. They are used to mark up specific data, such as an address, phone number or review. As you can see, the same search query gives me two options. The first has just a snippet of information, where the second one includes the movie’s star rating, or “rich snippet”. A robot.txt file is a piece of HTML coding that is usually placed at the start of the directory of your website. The robot.txt file is the first file that crawlers or robots read when they visit the website, as it gives them instructions as to what they can and can’t read. RSS (which stands for Really Simple Syndication) is a standard data feed system. It’s used to deliver updates and/or content from websites to you, rather than you having to go to the websites looking for them. Popular RSS readers include Google Reader, My Yahoo!, Newsgator and Bloglines. The sales funnel is the processes that a business has set up to increase sales. It’s contain three major different stages: The top, the middle and the bottom. The sales funnel is sometimes seen in a series of webpages that are designed to get the user to buy a product or service in the end. Web scraping is a technique of extracting information from websites. It’s similar to how crawlers work to index pages on the web, except that the focus of scraping is to take unstructured data (usually HTML) and turn it into structure data. The data can then be stored and analysed in a database or on a spreadsheet. Search engine marketing (commonly abbreviated to SEM) is when search engines are used to market to your target audience. This can happen by using either SEO or by paid methods, such as PPC. Search engine optimisation (commonly abbreviated to SEO) is when your website and online marketing strategy is optimized so that you gain higher rankings in organic search engine results. The search engine results page is the page of results you see after you search something using a search engine, like Google. Searchability is the ability to be able to pull up information, through an external or internal search engine by using known information, i.e. when someone types in a word, relevant sites will be displayed. To make a website searchable, websites have to contain well-written, relevant and user-targeted content, they have to be accessible and they have to contain related links. Shared hosting is a web server that is shared equally with other websites. It’s more suited for small sites, but bigger sites need their own individual host. A shopping cart is a piece of software that is installed on a web servers that allows visitors to select items, and accumulate them in a list, that they intend to eventually purchase. It works the same as a brick-and-mortar shopping cart, except online! A site audit is a full analysis of a site’s performance, in order to see if it’s meeting a variety of goals. For example, if the goal is to ensure that customers are provided with a fantastic experience of the website, a business might want to ensure that all backlinks are working correctly and that all CTAs are easy to find and understand etc. The site speed is how fast the website loads. The faster, the better! Sitelinks are hyperlinks to a website’s subpages. They appear under certain Google listing and are there to help users navigate easier. The webmaster has no control over sitelinks, but instead Google adds them. To make something “skimmable” is to make it easily skimmed, or read through quickly. Bold text, bullet points, short sentences and repetition all help to make a piece of content more “skimmable”. Smarketing is a bit of sales, and a bit of marketing. It’s the strategic placement of the sales and marketing teams in the hopes that it will be more efficient and profitable. A social bookmark is a backlink to your page that happens when a user pastes a link to your site publicly, for example on Reddit or Pinterest. Social media can come in a variety of shapes and sizes. It can be a platform, website or application, and it is distinguished from other websites etc. because it is used for social interactions. An example of this is Facebook, Twitter and Instagram. Social media marketing is when social media platforms, such as Facebook, Twitter and Instagram, are used to garner interest in a business and to increase website traffic. Social Media Marketing usually focuses on sharing interesting content that users will want to share with their friends, who will then share with other friends etc. Social sharing is when a visitor to your website shares your webpage on social media. For example, clicking the “like” button and posting to Facebook or “pinning” something to Pinterest. Social signals is an SEO measurement that happens outside of your website. It determines the popularity of a specific webpage based on how many times it has been shared, liked and discussed on social media sites. You’ve probably heard of spam: It’s those annoying unsolicited emails you get that clog up your inbox. It’s also applied to unhelpful or unproductive comments or duplicate or repeated submissions to blogs, forums or any public platform. A spider (also known as a “crawler”) is a piece of software that is used to crawl the internet and index data appropriately. They’re also an eight-legged arachnid, but not in this context. Spinning is when you take a piece of content and put a new perspective on it, making it a new article! Split testing happens when you test different versions (or changes) on web page to see which one does better. The performance is usually measured by looking at the click through rate or return on investment. Common things that are split tested are headlines, images, copy, layout and design. Stickiness can refer to a lot of things, like chewing gum and that weird gook that you found on your shoe. But in this case, it’s usually used to refer to content and to websites that are often revisited and re-read by users. Content that’s sticky might be something that a user can return to time and time again, like a useful guide or an extensive resource list. A website that is sticky, might have a useful tool, such as a Title Generator. A subscriber is a user who has agreed to be contacted by you with regards your business. Agreed is the key word here. If they haven’t agreed, they’re not subscribing. If you email them anyways, you’re spamming them. A tag is a keyword or term that’s associated with a piece of information or content, such as an image, a blog or an internet bookmark. A tag helps to describe the item and allows it to be found easily by browsing the term or keyword that’s been associated with it. Tags are usually chosen informally and personally by the creator of the content or information, or by the viewer, depending on the context. For example, many blogs will allow users to attach tags to their blog posts so that the blog will be easily found through those tags. They’re also quite popularly used for events, where a specific tag can be used by everyone in connection with images, presentations, comments and articles related to the event. Your target audience is a specific audience that you think will buy your product. It’s usually based off of specific demographical information, such as age, gender and income. 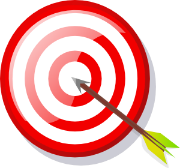 Your target market is the group of people that you intend to aim your marketing message at. A TLD (which stands for top-level domain) is the name that appears along with the 2nd dot in a website’s address. For example, in www.example.ca, “.ca” is the TLD. Other common TLD’s are .com, .net and .org. The top of the funnel is the first stage that you come in to contact with your consumer. It is the largest part of the sales funnel, because you have the most people coming in before they make up their minds whether to make a purchase with you or not. For example, those who click on a banner ad and are brought to the website would be considered at the “top of the funnel”. It isn’t until the consumer chooses to be contacted by you that they are converted into the “middle of the funnel”. Top-of-mind awareness is when a business, brand or specific product is the first to come to a consumer’s mind when thinking of a particular industry. For example, if you’re thinking the technology industry, the brand that might come into your mind is Apple. It’s used by Google Analytics to track data from a website and it usually starts with <script> and ends in </script>. Twitter is a social networking service that has been described as “texting for the internet”. Users can send and receive text messages, called “tweets,” that are 140 characters long. This information is sent from the website to the retargeting provider where they connect the information with the correct Twitter account and advertise relevant content. For example, if you’ve searched for “high-heeled boots” and browsed them on a specific website, you might find ads on your Twitter account for similar boots from this company suddenly (and not so mysteriously) appear. Web usability is the ease in which you can use a website. Usability is often related to the presentation of information, design, easy to understand information, clear options and choices and key terms placed in appropriate areas. Another element of usability refers to how easy content and websites are easy to view and use on various devices and browsers. We’re all unique in our own way. But that’s not what this means. A unique visitor is any one person visiting your site any number of times. So if I’m visiting your page 50 times a month, I’m still only 1 unique visitor. When content is shared and shared and shared and shared. And shared once more, all super quickly. It gets its name from the speed that a virus would spread, i.e. really quickly. The virtual private server (commonly abbreviated as VPS) A virtual server usually running Windows or Linux that you can remote into. Most SEO’s use a VPS to run link building software uninterrupted or to host websites depending on your goal. When your mother comes for tea and you have to make small talk for an hour. 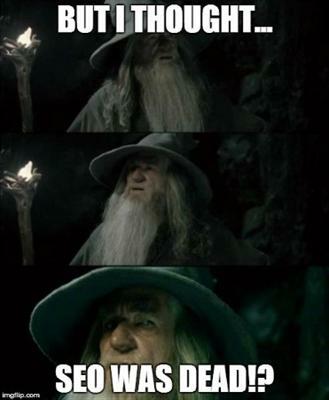 Or, in this context, when a user visits your website. A webinar comes from the term “web” and “seminar” and that’s pretty much exactly what it is. A webinar is an online event hosted by a company/organization that’s broadcasted to a group of individuals who have opted in to hear/watch the broadcast via their computers. The webinar is run by a moderator, usually a representative of that company/organization and occurs through the use of a web conferencing tool. There are usually two components to a webinar: Visual and audio. the topic, and they can also receive questions. A website is a place, with one or more pages, on the internet. Web 2.0 describes the websites that are more complicated than the static pages that were first prevalent in earlier websites. There wasn’t one particular update that was the cause of the new name, but it was a bunch of changes in the way webpages were coming to be made and used. Features of Web 2.0 tend to have a social element to them, such as: Blogs, networking sites, wikis, video sharing, web applications, social media platforms etc. Also called “Ethical SEO”, white hat SEO refers to the optimization techniques that focuses on the actual people and visitors of the website (as opposed to the crawlers) and completely follows search engine rules, guidelines and policies. A website that is optimized for search engines but focuses on providing visitors with relevant content and organic ranking is considered to be using white hat SEO. Other examples of white hat SEO is keywords, link building and link popularity. Word of mouth advertising is advertising that happens when people share information about a product, service or promotion with friends or family (or anyone). According to a recent Nielson study, it’s still the most trusted form of advertising, with 92% of people saying they trust it. WordPress is a free blogging tool, content-management system (CMS) and web hosting service. 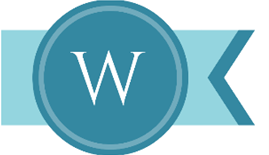 WordPress.com: A free online blogging platform that is hosted by WordPress. WordPress.org: A free software that you download to your computer. There are several differences between the two platforms, including cost (there are always hidden charges), limitations & restrictions and management & updates. For more information, please see our comprehensive overview of the two platforms here: WordPress.com vs WordPress.org: Which is the Right Choice for you? In 2013,18.9% of the top 10 million websites used WordPress. XML Sitemaps are a list of pages on your website. The Sitemaps provide webmasters with an easy way to tell search engine robots about pages on their websites that are available for crawling, that the robots might not find by themselves. YouTube is a video-sharing website, created by three former PayPal employees in 2005. It was bought by Google in 2006. It’s a powerful marketing tool with 50% of people watch videos on Youtube, with 64% of those going to the marketers website afterwards. To “zzzzzzz” is to get a well-earned rest! 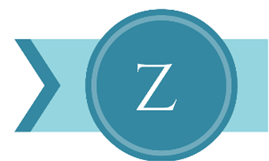 If you enjoyed our complete A-Z guide to online marketing terms, or you think we’ve missed something, feel free to let us know in the comments section!